Don't have time to drop your clothing off? We offer free pickup and delivery! Call 813-431-3640 to get more information. 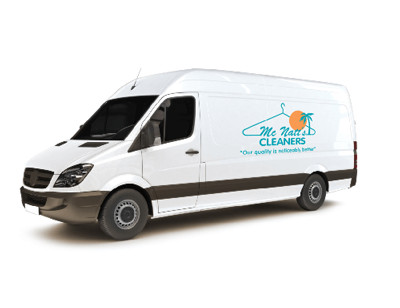 With dry cleaning services from McNatt's Cleaners, your clothing and household items look brand-new again and they last a lot longer. We've been in business since 1942, so trust your finest garments to our experts for spot removal, cleaning, and pressing. To ensure the best quality cleaning, we inspect every garment after it has been cleaned and pressed. 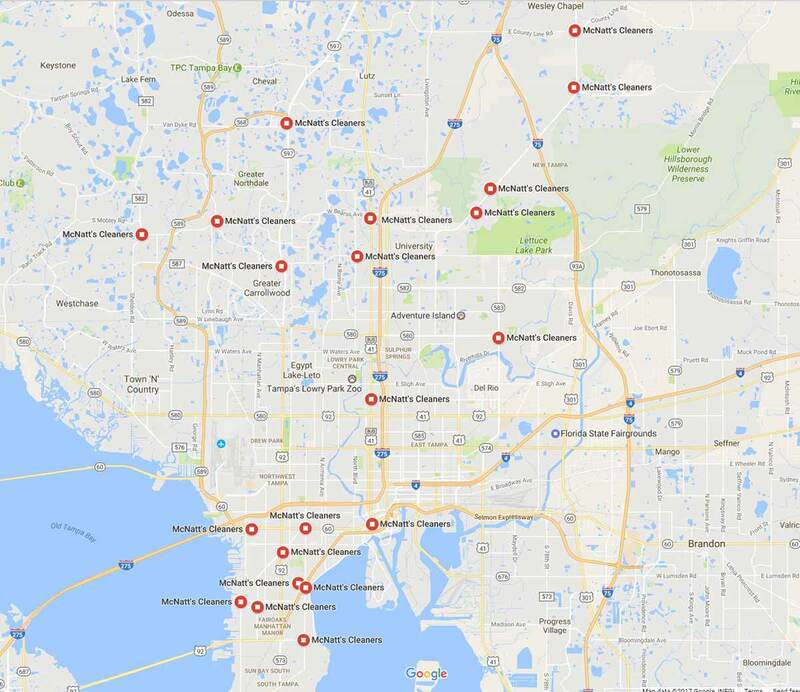 Contact our dry cleaners in Tampa, Florida to request a service for your clothing or household items. 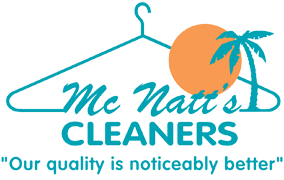 For more than 70 years, McNatt's Cleaners has been offering you convenient dry cleaning services, including same-day service. We have 21 different locations, so when you need a dry cleaner, trust the numerous customers who have said, "We've finally found a great dry cleaner—McNatt's!" Whenever you have any questions, feel free to contact us or check out our frequently asked questions page. Dry cleaning, alterations, draperies, rugs, shoe repair, wedding gowns and more—just call us today. Take advantage of our special offers, such as our 50% off pickup & delivery service. Have a question about our services or policies? Check out our FAQs!